Environmental & Utility Services including: stormwater drainage and water quality facility modeling and design, hazardous site assessment, clean-up design, utility coordination and relocation design. Construction Services providing capable resident engineers, field and office engineers, quality assurance engineers, shop drawing reviewers, contract administrators, and inspectors to help our clients manage risk, control project quality, track budgets, meet critical milestones, and achieve their overall objectives. Condition Assessment and Rehabilitation Design by inspecting and evaluating the aging of highways and streets. 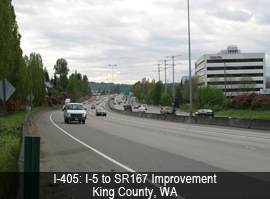 We provide retrofit design to maintain and prolong the lifespan of highway and streets. 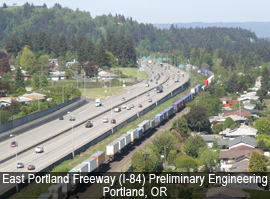 Click here for further information about highway and street projects.